What does a wedding planner actually do? Probably a lot more than you'd expect! Check out our list of wedding planner duties you might not be aware of. 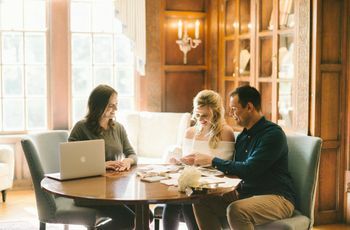 Wedding coordinators are one of the most critical components of an amazing wedding day, but you may not even realize the full scope of wedding planner duties. 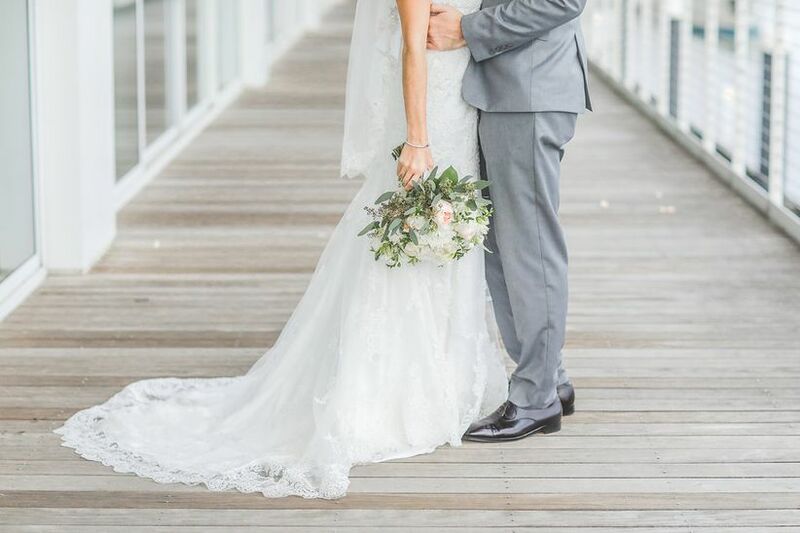 Beyond their incredible advice, guidance, and organization, a wedding planner can handle all—and we mean all— the little things many couples need an extra hand to cover. So what does a wedding planner do? 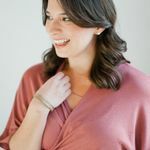 We picked the brain of wedding planner Erin McLean of McLean Events in Raleigh, North Carolina and she’s breaking down 16 things you probably had no idea your wedding planner could actually pull off. Check out this list of all of the wedding planner duties that can help make your nuptials an absolute breeze. Often times, when couples hear “wedding planner” and immediately think logistics and coordination. 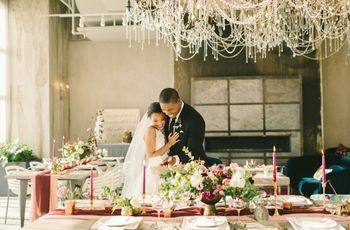 But even more than that, most full-service wedding planner duties include design services to help couples select color palettes, decor, rentals, lighting, and an overall aesthetic that carries throughout their entire event. Not only can a wedding planner help you develop and oversee your budget, but they keep track of when your payments are due so no deadline ever gets missed. Need an extra pair of eyes when deciding what your bridesmaids, groomsmen, family members, and the little ones will wear? Leave it to your wedding planner to lend their expert advice. What’s more, your wedding planner duties can include offering invaluable guidance on the bride’s own wedding gown and accessory selection. 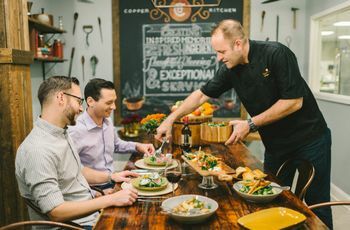 A good wedding planner is always two steps ahead, so they’ll likely take on the task of scheduling any vendor or venue meetings leading up to the big day. We like to think setting up your wedding website is pretty seamless, but your planner can help take care of all the tweaking and editing to ensure it looks and feels just right. Not interested in twisting the arms of your bridesmaids or family members to help stuff, stamp and send off all your invitations? That’s where wedding planner duties come in. They’ll take care of those time-consuming details so you can enjoy every second of engaged life. 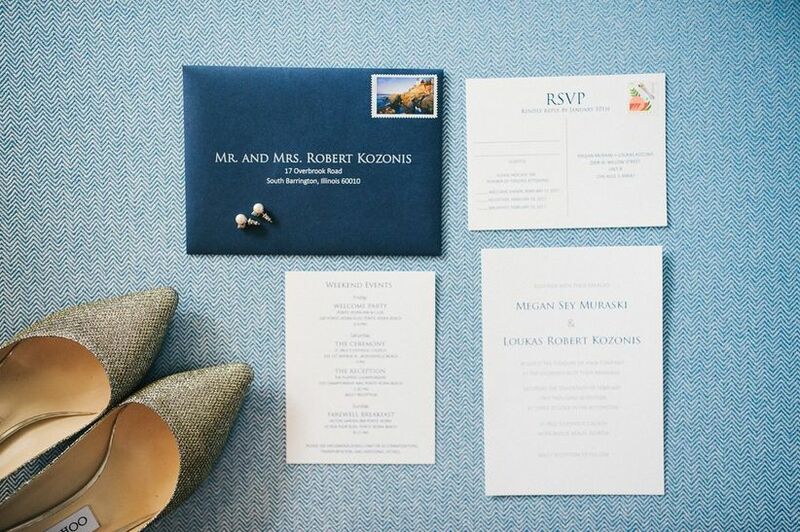 Every couple who’s been through the planning process knows exactly how stressful managing those RSVPs can be. But with a wedding planner by your side? Consider that headache one more thing off your to-do list. You’ve found your wedding planner, but what about the rest of the vendor crew? Leave it to your planner to vet any potential hires to make sure you’re only working with truly reputable professionals. When it comes to the wedding weekend, it’s all about the experience and your wedding planner is going to make sure your guests get one to remember. They’ll coordinate details like travel, hotel room blocks, day-of transportation, and welcome bags while you sit back and enjoy the memories. From seating chart dilemmas to wedding stationery wording to awkward “plus one” invites, a wedding planner is a couple’s go-to resource for all things proper etiquette. We’ve all been to an event where speaker systems go awry or the microphone is cracking, but your planner will ensure any sound setup goes off without a hitch. Rest assured that your planner will closely with both the photographer and videographer to stay on schedule, make sure they are present during all events, style your paper products, and make sure the bride doesn’t have a piece of hair dangling in her face that she’ll regret in the photos. What does a wedding planner do on your wedding day? A planner will make sure your loved ones don’t accidentally miss out on key moments. From speeches to the cake cutting to first dance, they’ll ensure your family is present every step of the way. The last thing a couple wants to deal with is a guest who has had a few too many and is causing a total scene. A great planner will make sure any overindulgent guests get some coffee and kindly move them out of the spotlight so the bride and groom never even notice. One of your wedding planner can be to make sure your getaway is as magical as the day itself. Bonus! They’ll also make sure any overnight bags or personal belongings arrive safely at their hotel.